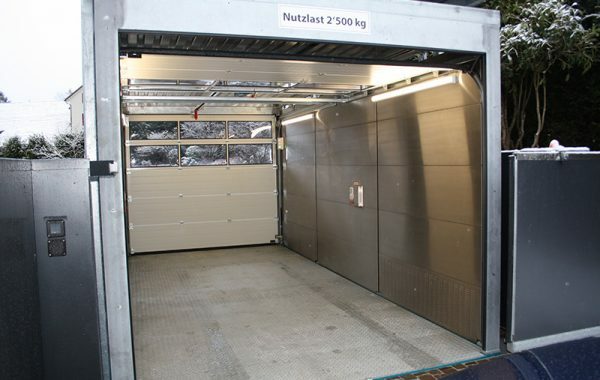 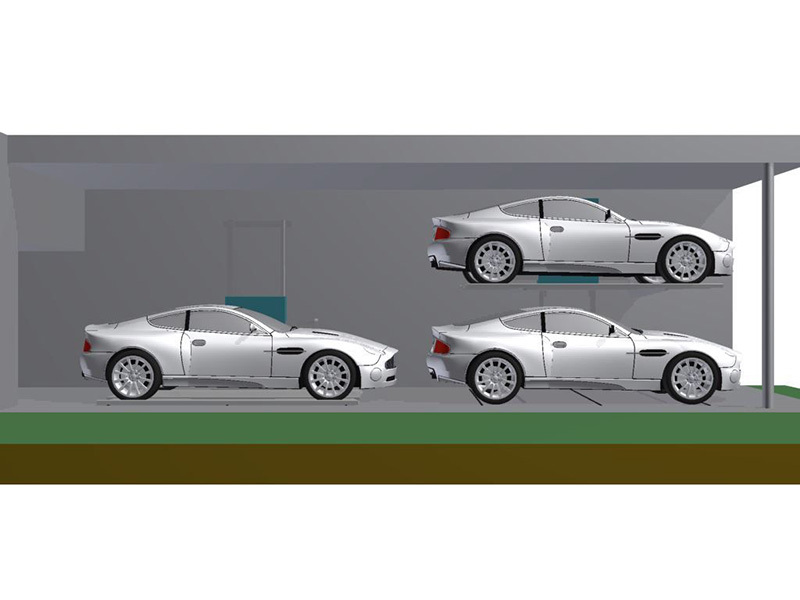 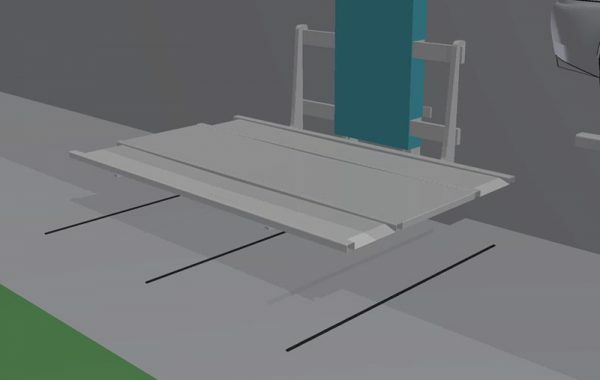 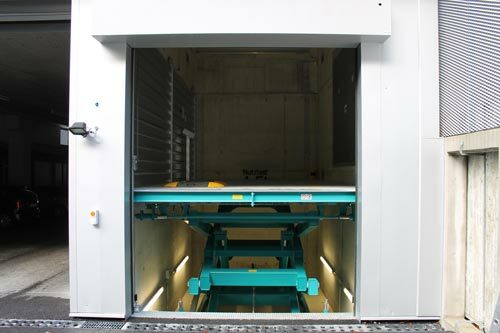 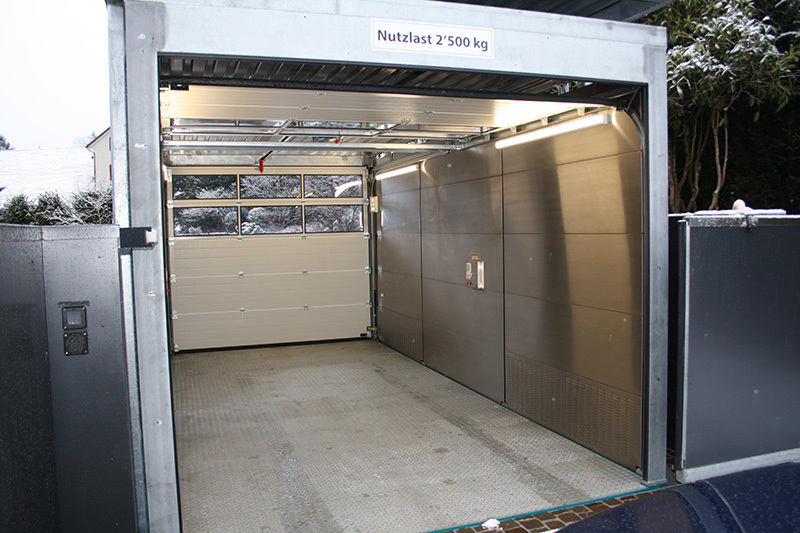 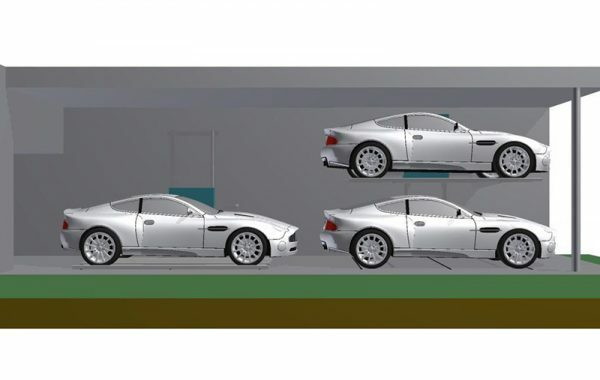 In the area of systems engineering, we design car lifts to meet your precise requirements and wishes. 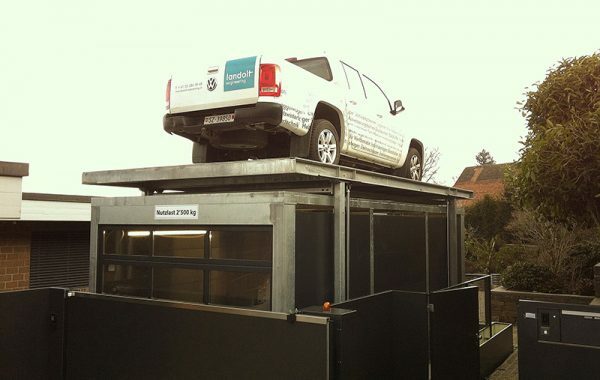 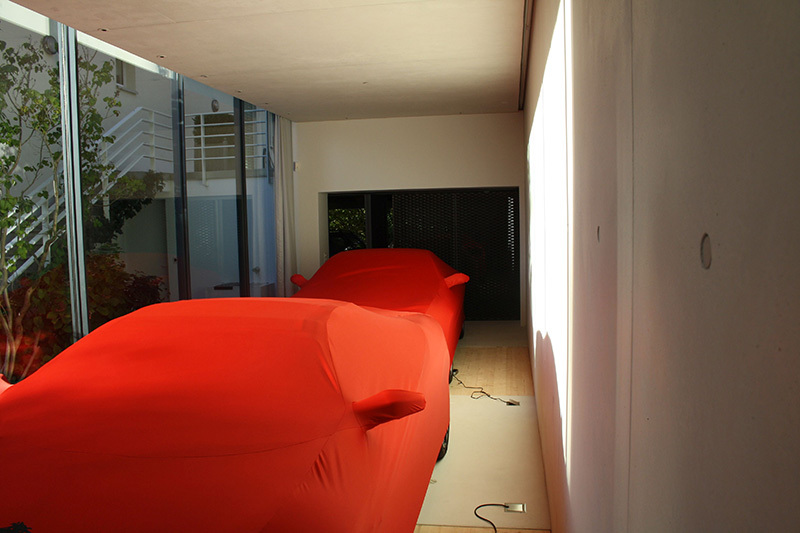 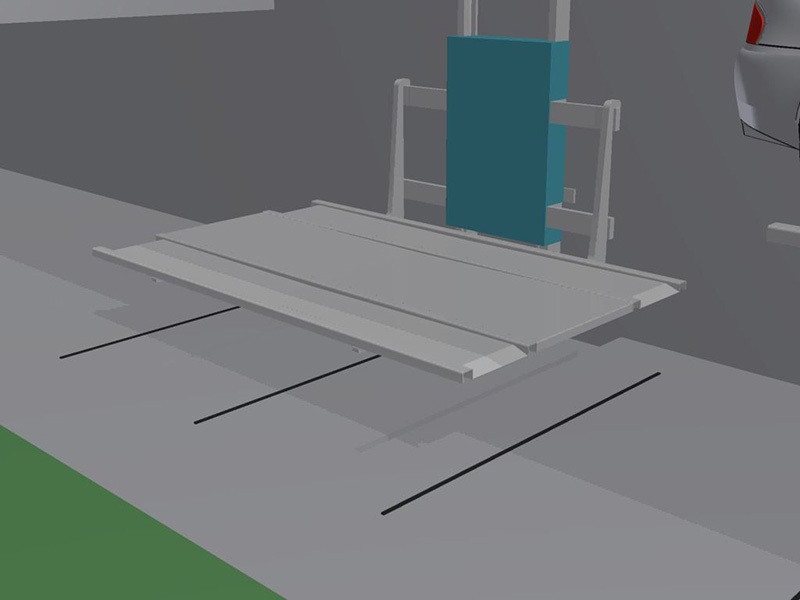 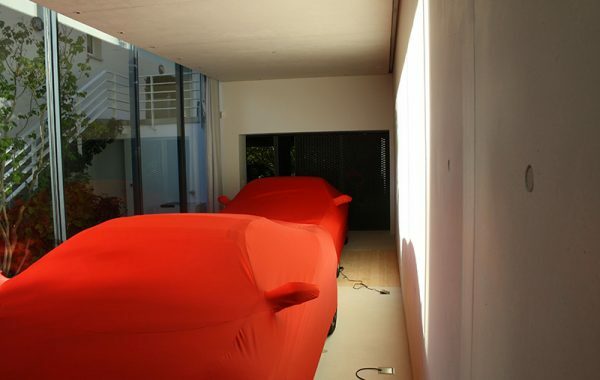 We would be delighted to find the perfect solution for your own personal car lift. 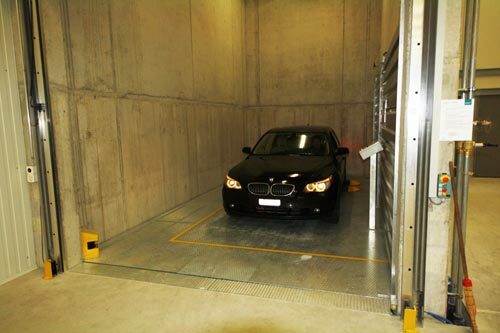 The perfect solution if there is no room for an access ramp and it is not possible or desired to construct a closed lift shaft. 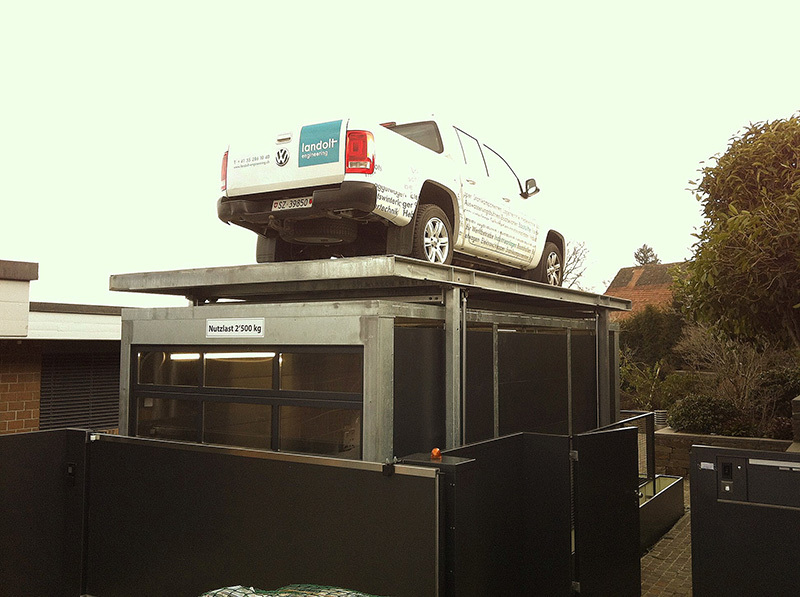 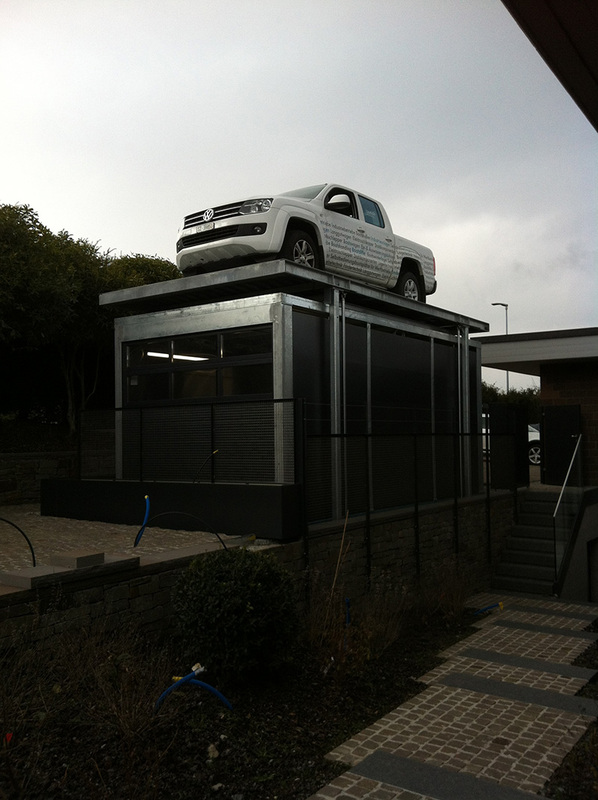 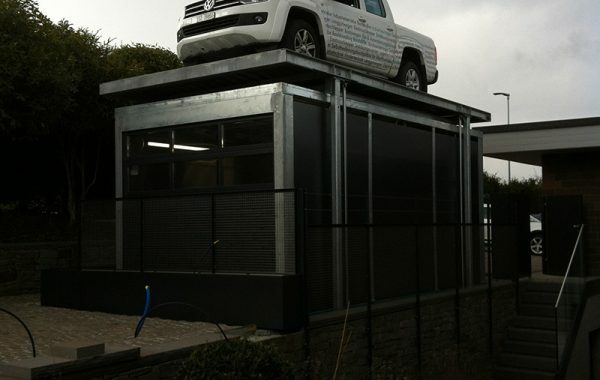 We provide a car lift with a separate roof unit. 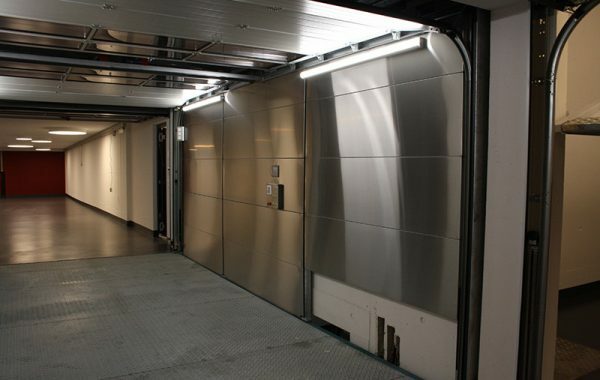 Do you build the building around the lift or install a custom lift in an existing building? 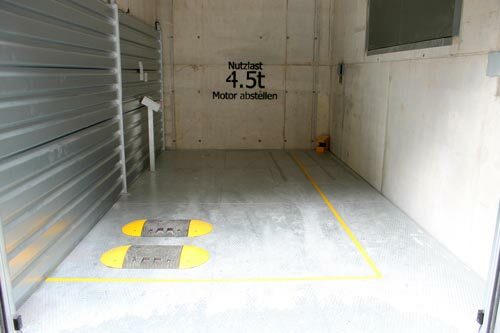 In this example there was no space for an access ramp. 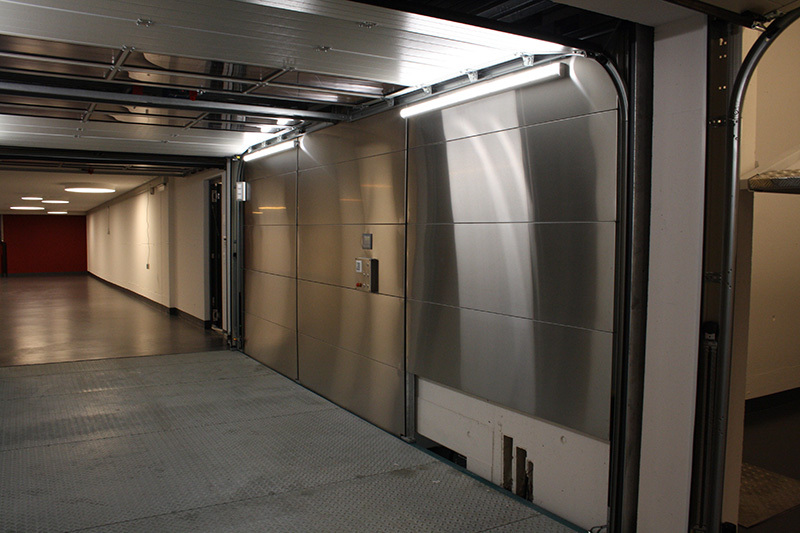 Access also had to be possible from three different sides across three floors.